Today wasn’t a really hectic day at Khushi, compared to some totally chaotic days that i have seen today was very calm, Harsh sir paid Khushi a visit and the general atmosphere amongst the kids was slightly on the positive side, unlike the general aggressive behavior most of them have on. The senior kids of Grade 5th and 6th approached me to teach them for the upcoming tests by themselves, an indeed pleasant surprise for i had to drag the same kids to enter the class till yesterday. I happily readily agreed and taught my first ever proper class of Roman Numerals to Grade 5th and 6th. I actually taught for an one and a half hours without being disturbed, an achievement that only the people who have visited khushi will be able to appreciate. Coming back to the story, as soon as my class ended and i came out to leave for home, 2 small girls Tanjeela and Ujala approached me and hung from my two arms. I told them that i am very tired and i need to go but they asked me to bring my ear closer to their mouth level. I bent down to listen what they had to say, little knowing that the conversation i was going to have would have such an heavy impact on me. Then they both put on their puppy faces to try to get me to get them the thing. It kinda worked for i asked them what do you want? Hearing this, Tanjeela put a one rupee coin in my hand and asked me to get a hajmola pouch from the grocery shop across the road. Seeing the 1 rupee coin, i just melted away. I just couldn’t anymore ignore the small request of these tiny tots(Ujala is 6 and Tanjeela 7 years old). I asked them that would your stomachs get filled up with this, they said yes bhaiyya, you please just get it for us. 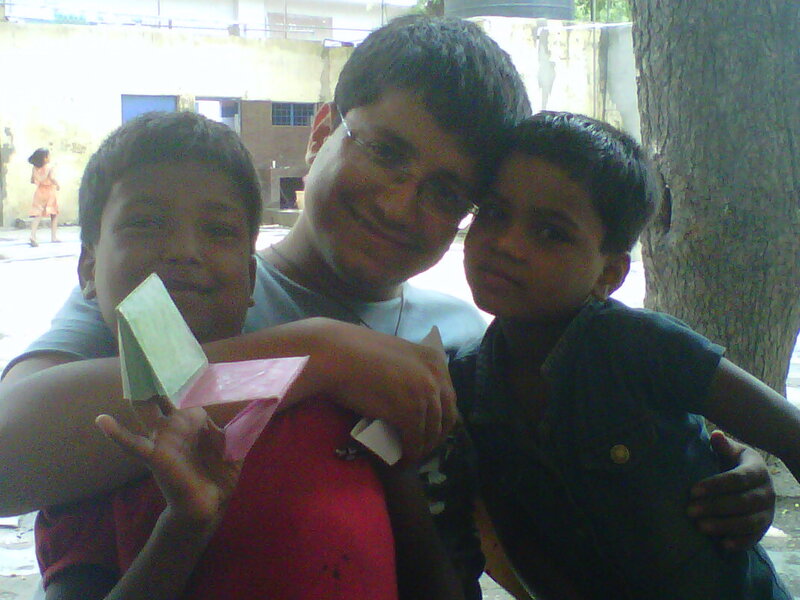 All my life, 1 rupee was too trifle an amount for me to even care about, the kids today taught me the real value of it. Life is funny isn’t it: In my world, one rupee means nothing while for them it could purchase a moment of bliss which they further made perfect by sharing. Also, i had never to ask my parents twice for anything while these kids have to literally request a stranger to get them something that trivial that too from the little money they had. Superb, such feelings are like knock at the door to visualise you ‘what you are’ as you also quoted “There are some moments in your life which just shape you up into the person you are meant to be” we just need to recogise them and shape them in life thanks to those who are following the path of humanity the real GOD…..